CTL Ti184 is a water/ethylene glycol solution of a titanium based catalyst for the production of polyethylene terephthalate (PET) fibre and film. 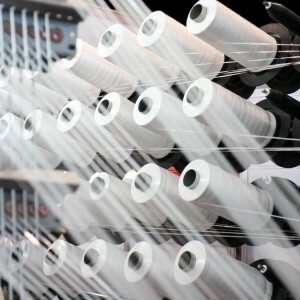 The product can be used to manufacture PET films and fibres up to approximately IV = 0.65 dL/g, and also can be used to produce high IV fibres (ca. 1.0 dL/g). The product can be used alone or in conjunction with a traditional antimony based catalyst. CTL Ti184 offers fibre producers faster throughput rates and lower metal particulate levels than with current antimony catalysts. Film producers can benefit from improved film crystallinity, brightness and clarity. Typical catalyst addition levels for complete antimony replacement are 4-8 ppm Ti compared to 250 ppm antimony. For further information on CTL Ti184 and how it can be used on your plant, please contact Catalytic Technologies Ltd. Product literature and technical data sheets are available on request.